"I thought that getting into Google was impossible for me," said Kaki, 33, who is blind. But it wasn't, thanks to her brother who passed her resume to a friend at Google. At the time, Google only had a part-time team working on accessibility issues. Kaki had tested accessibility products in college and knew she wanted to do something in the field. Even though Google (GOOGL) didn't have a position open, they still called her for an interview. In October 2006, she was hired as a software accessibility test engineer. In her role, she tested Google products using screen readers meant for individuals with visual impairment and other disabilities. 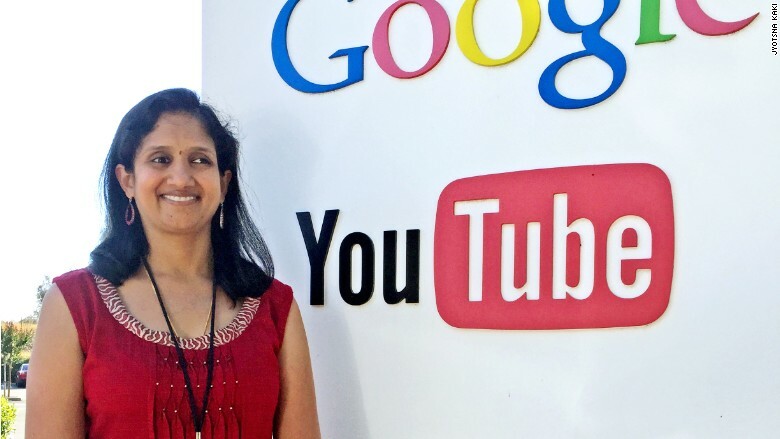 Eight years later, she leads Google's central accessibility team of test engineers. In addition to product testing, her team also trains other Google employees to conduct accessibility testing. She was diagnosed with a benign slow-growing brain tumor as a child. It didn't prevent her from having a regular childhood, and attending college at San Jose University. "Before I started college, I had set three goals for myself," she said. "I had to graduate in four years and not one day more. I wanted to maintain a good GPA and I didn't want to do any studying on the weekends." To accomplish them, she set a strict schedule. "I'd wake up at 6 a.m. everyday, head out to class by 9," she said. "Classes would end early afternoon and I would be back in my dorm room." And she would always finish her homework the same day that she got it. In the fall of 2004, when she was a senior, everything changed. She woke up with blurriness in her right eye, which didn't go away. 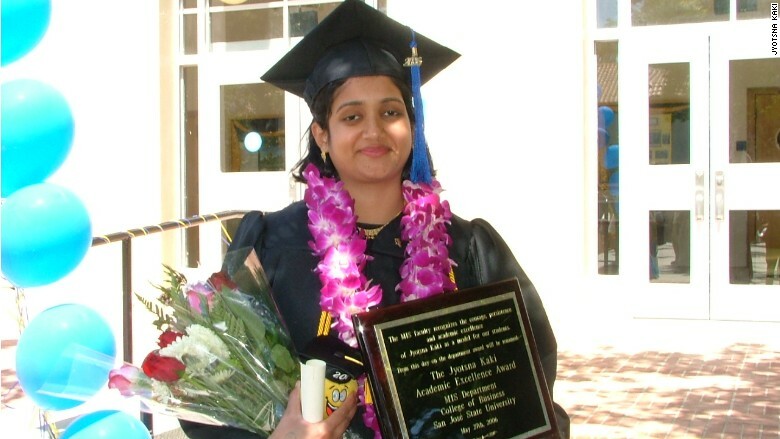 Jyotsna Kaki on graduation day from San Jose University in 2006. On her weekend trip home, her parents took her to the doctor, who said the tumor had grown into the optic nerve. She had to have emergency surgery to remove part of the tumor. After surgery, she woke up and couldn't see: Her optic nerves had been accidentally damaged. Despite the shock, Kaki latched on to something innate -- her sense of discipline. Shortly after the surgery, Kaki asked her brother to help her figure out how she could go back to college. 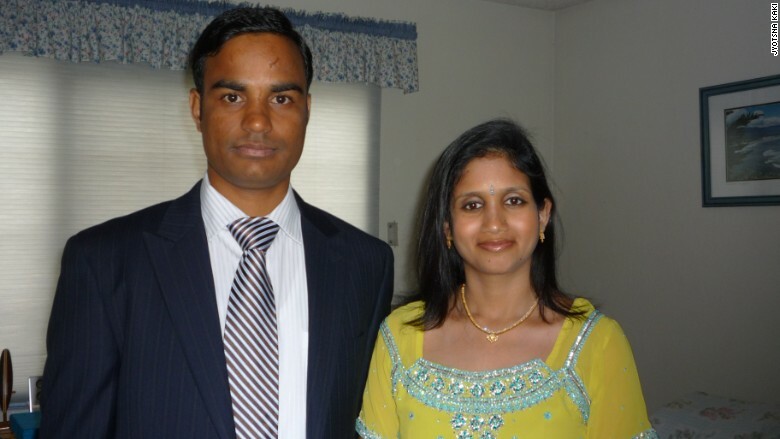 Jyotsna Kaki with her husband Raju. "I wanted to become independent again as soon as possible," she said. She learned braille and trained on using accessibility technology, such as screen readers, that allow visually impaired people to use computers. "I was a bit depressed to have to do all this," she said. But Kaki was determined to continue her education. 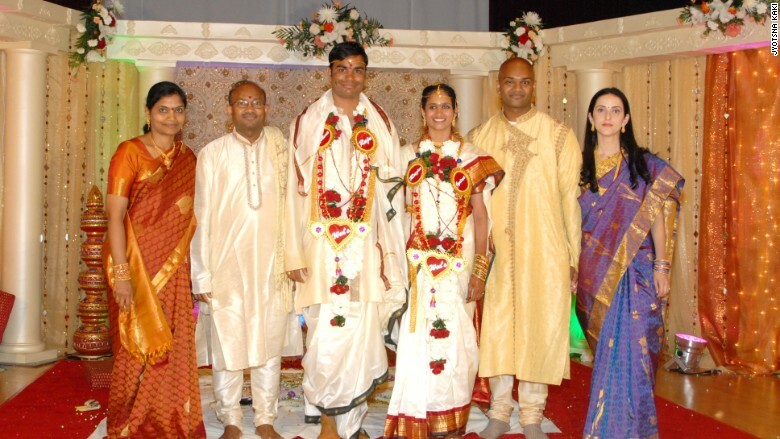 Jyotsna Kaki with her parents and brother [right] at her wedding. Eventually she landed a campus job at the college disability resource center to test accessibility software. That experience would later get her into Google. Kaki graduated in 2006 -- a later later than she wanted to -- with a 3.8 GPA, a degree in management information systems, and an award for academic excellence. Her college department subsequently named an award for her, which is given to a graduating student who excels academically and also achieved a significant personal goal. Kaki wanted a job where she could help others with disabilities. "Most private companies don't have such positions," she said. Her dad suggested that she create her ideal job description and then pitch it to companies. 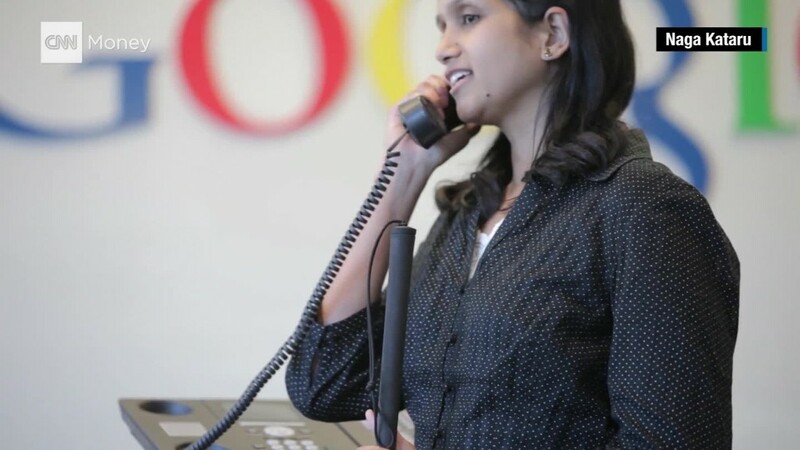 Her brother made sure it landed on a desk at Google. "He gave it to a friend who worked at Google without me knowing it," she said. "They liked my ideas and I was hired." She still wakes up at 6 every morning and keeps the weekends free of work to spend with her husband and young daughter. "When I go to bed at night, I'm satisfied that the work I'm doing will probably help other individuals out there," she said.